... and love them even more with Japanese style sesame salad dressing! This kind of salad dressing is sometime known as goma dressing (胡麻ドレッシング) and of course, goma means sesame in Japanese. 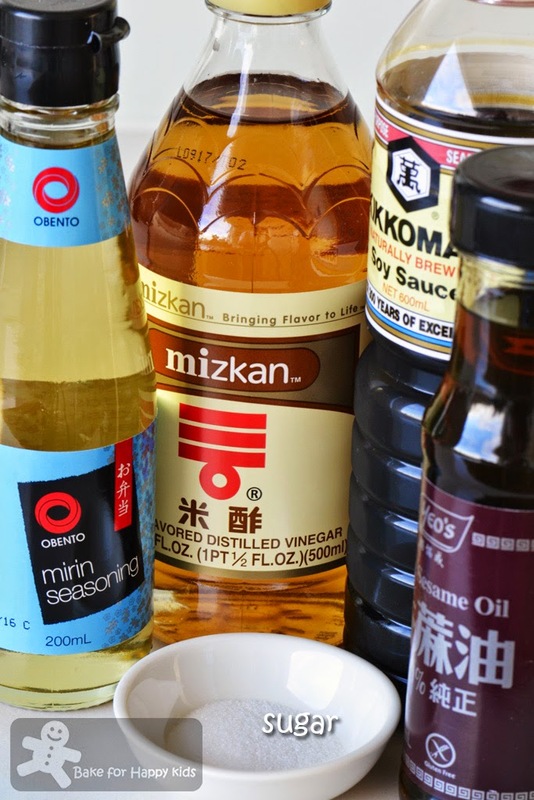 Due to our liking for goma dressing, we have tried all the brands that we can find in the Asian grocery shops in Melbourne. Some are creamier being well homogenized while some are oil based with separate layers. Some are thicker while some are thinner in texture. 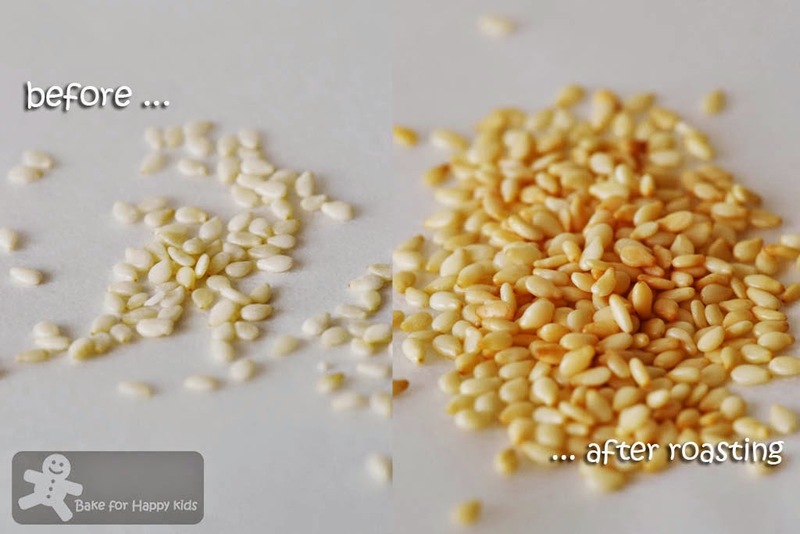 Some have bites of sesame seed while some can be quite stingy with its sesame content. According to me and my family, the texture and taste of all store bought sesame dressing can vary much between different brands and funny that each of us does have preference to some particular brands. My boy's and my favourite goma dressing is the Kewpie brand but its delicious creaminess comes with high fat content. My husband's favourite is the one with the word 金 (meaning gold in Japanese or Chinese) on its label as he thinks that this brand of dressing contains more well-roasted sesame seeds than any other brands. However, the health conscious us have eventually choose another brand with lower fat content for our regular consumption despite that it is not as tasty as the kewpie or 金 ones that we like. A few months back, Jessie from Jessie Cooking Moments told me that she has found a fantastic goma dressing when we were having our usual whatapps chat. I asked for her recipe instantly and then I received a picture of a napkin with a list of ingredients scribbled on it. I was excited seeing the recipe and start asking her lots of questions... Me getting excited over goma dressing recipe!??? Please do not laugh at me. I guess this is what most housewives do... We are excited whenever we exchange recipes!!! LOL! At that time, I still had a one liter of the low fat dressing to finish and had plan to make this dressing when the bottle of dressing had finished. One from Jessie (Jessie Cooking Moments) which is mainly oil base and mine is specially made with sautéd or browned garlic and onions... Sorry but no raw garlic and onion for me, please! Another from Nami (Just One Cookbook) which is mainly Japanese mayonnaise base and contains NO garlic and onions. Due to religion, the Chinese vegetarians in Asian countries don't eat raw garlic and onion. For the benefits of my auntie J and K, I love to try this NO garlic and onion goma dressing recipe. What is the difference between these two recipes? ... but both contain very aromatic deep roasted sesame seeds! To achieve its best flavour, it is important to roast the seeds until deep golden colour like this! 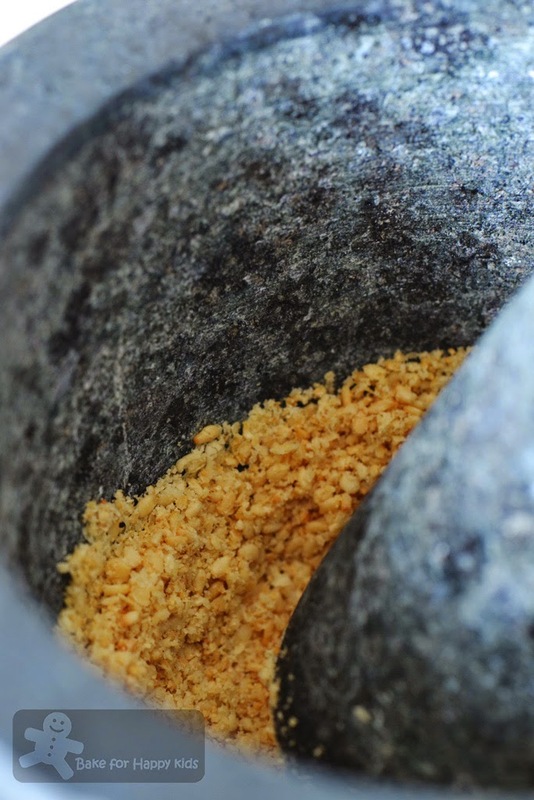 To me, grinding makes a lot of difference too in releasing its aromatic flavours. Mix all with sesame seeds and mayo to get this... Nice and creamy! This is all I need to do to make Jessie's dressing..
Pour dressing in a bottle. Store in the fridge and use whenever required. 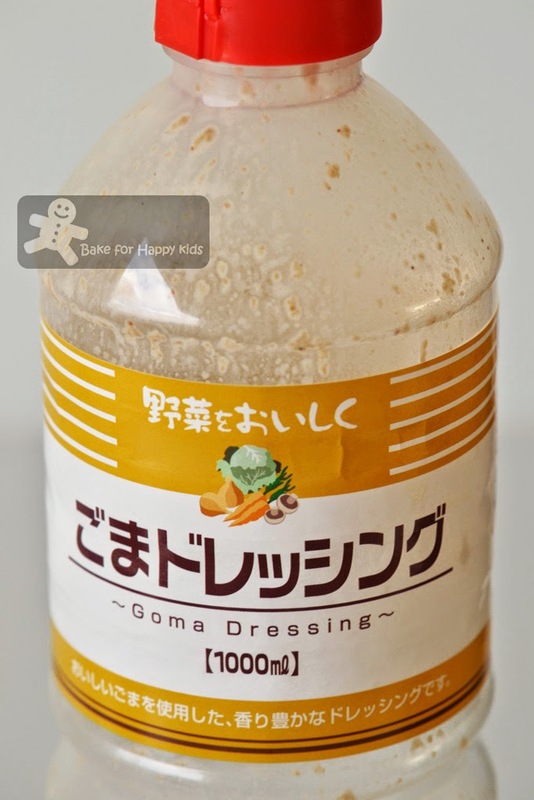 Now, which goma dressing is better? Goma dressing with lower fat content - We don't like you anymore! Sorry! Mainly made with Kewpie brand mayonnaise, it obviously tastes like the Kewpie brand goma dressing that my boy and I really like. Creamy! Yummy with lots of sesammmme... Oh! It rhymes! It is really super easy to make because all we need to do to assemble everything. Convenient to make too if the ingredients are the regular seasonings in your pantry as you can make it as and when you want. For vegetarians who can't consume onion and garlic, this is the perfect dressing recipe for you! However, the nutritional content, taste and texture of this dressing depend very much on the type and brand of mayonnaise that you use. And, so please bear in mind that the choice of mayonnaise is critical to make this dressing tasting good! The biggest plus point for this recipe is that it contains NO preservative and NO artificial thickener! And it is very tasty!!! In fact, we reckon that it tastes more like the dressing with the word 金! 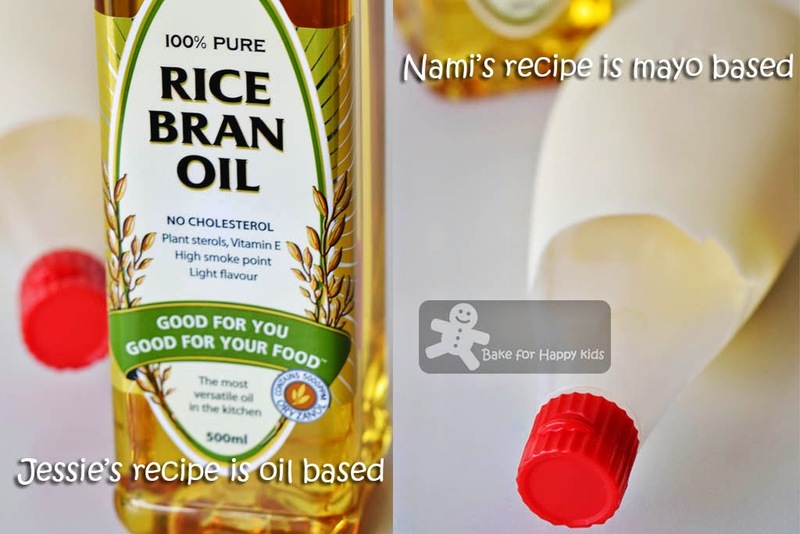 For the fact that it is made from scratch with healthful kind of oil intensively flavoured with lots of freshly roasted sesame seeds, you can use any type of oil you like. 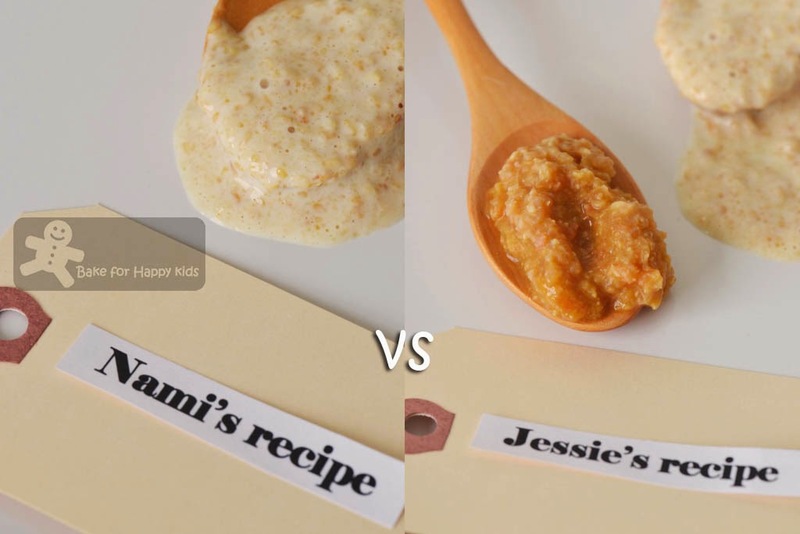 According to Jessie, olive oil and sesame oil are not preferred as they can be overpowering in their base taste. A neutral tasting oil like rice bran oil or sunflower oil, canola oil are all suitable to use. 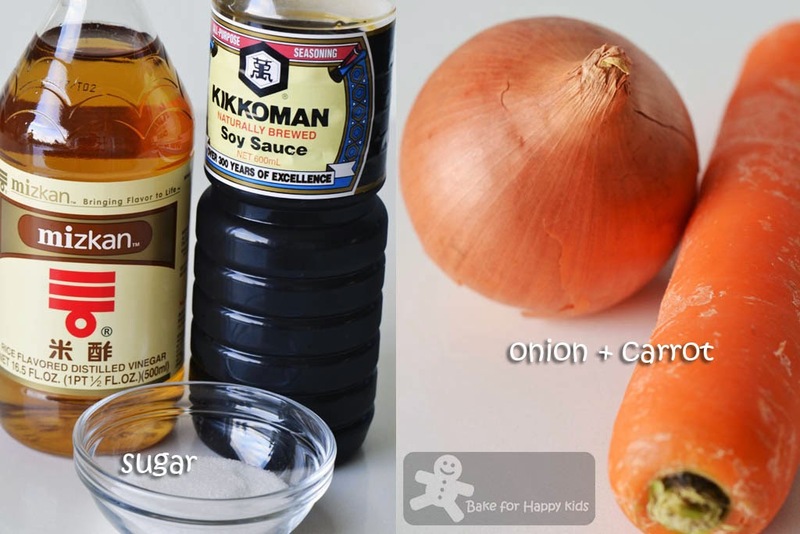 The onion and carrot are the great natural thickeners in this recipe. 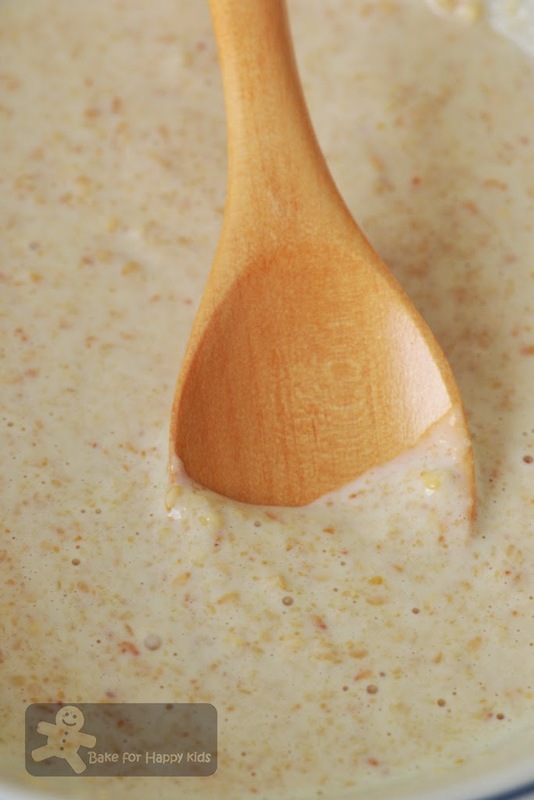 You can use lesser of these if you like a less viscous dressing but we prefer ours to be this thick! Thanks Jessie! We love this!!! And this will be our regular goma dressing! 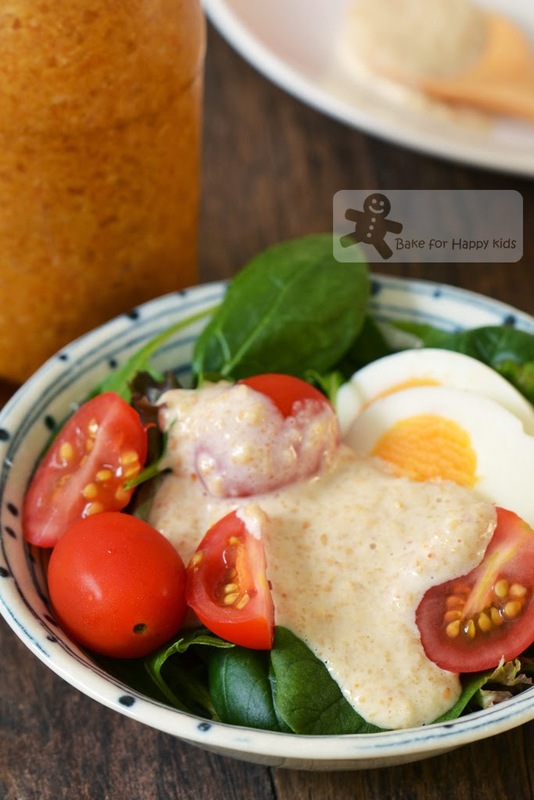 Here we go... Two yummy goma dressing made with two brilliant recipes! Here are my two adapted goma dressing recipes from Jessie Cooking Moments and Just One Cookbook. Both are equally good. Preference can be subjective to each individual taste or needs. 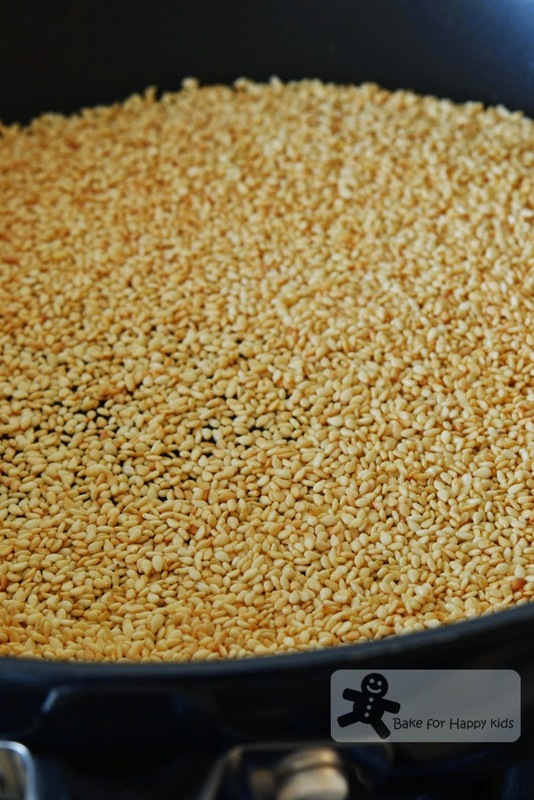 Place sesame seeds in a frying pan and roast them over low heat until the seeds develop light brown colour with lots of fragrant. Be careful not to burn the seeds. 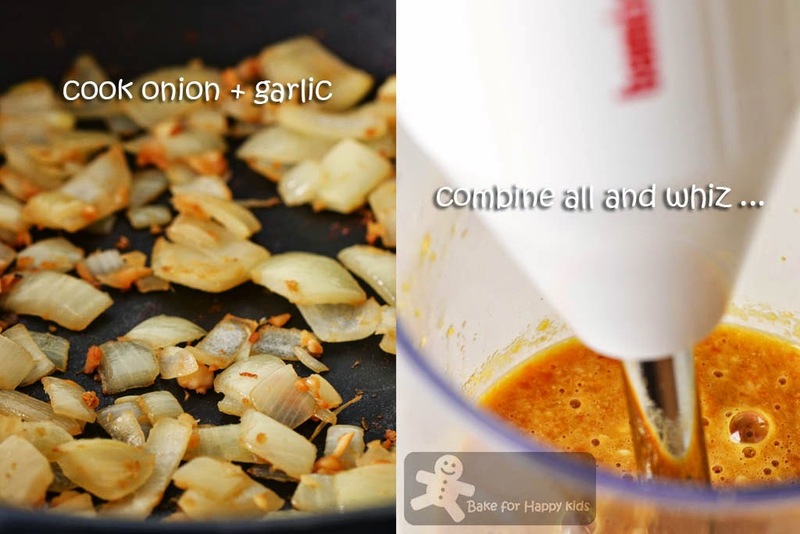 In a frying pan with medium heat, cook onion and garlic until they are slightly browned and tender. Combine all the ingredients in a processor or blender. Process mixture until well combined and smooth. Pour dressing in a bottle or container and store it with a cover in the fridge for up to 2 weeks. Give the dressing a shake before use as it separates into two distinct layers during storage. *The original recipe contains 15g sesame seeds and 1/4 onion but I have added more to make a more stronger and texture dressing and this has been always our preferred composition. In a mixing bowl, combine all the ingredients and mix everything together. Pour dressing in a bottle or container and store it with a cover in the fridge for up to 1 week. Give the dressing a good mix before any use as it may split slightly during storage. Enjoy these dressing with your salad. 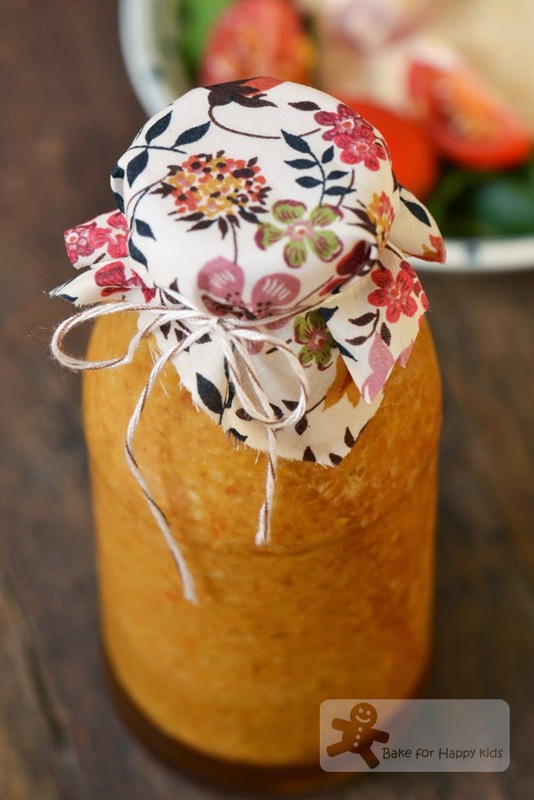 This homemade dressing sounds great! I don't like greens, BUT I'll finish it if there's creamy dressing like mayonaise, thousand Island, or this one, goma dressing.. Yep, like you, I use Kewpie Japanese mayo too, very nice and rich.. In Japanses restaurants, sometimes they drizzle some goma dressing on their salad, I would usually lick them clean, yummzzz! This is great for my light lunch. that is a nice new dressing for my greens.. i love me greens too... hv to try this recipe for sure! Zoe, I am a fan of Japanese salad dressings too! Just last week I went to a Japanese restaurant with my brother and we shared a Soft Shell Crab Salad with Black Sesame Dressing, It was really good! I have tried Jessie's recipe and it was awesome. Now I want to try Nami's recipe. Hi Zoe, Thanks for sharing this post. I've bookmarked the recipe from Jessie when she posted on her blog. I love Nami's recipe too. Like you, I'm going to try the recipes from both of them. So refreshing!Must try this salad!! It sounds good and i like both of the recipes! I love goma dressings but too lazy to make my own. Used on salads, cold tofu and soba. This looks so refreshing! Thanks for sharing! Both dressings looks really nice! My kids love the Kewpie mayonnaise, but I am not a fan of it. Looks like I got to give both of these a try! Hi Zoe, made this following Phong Hong's post. Fall it love with it immediately. Very Nice salad dressing. This is awesome! A great fresh and I'm sure super fragrant recipe! Ive seen some really strange ingredients on the bottles of sesame dressing such as "hydrolzed pork and chicken"! ?